The Kada Gallery has partnered with Larson Juhl Frames, a company recognized internationally as the premier maker of frame moldings. The staff at Kada is gifted in helping the customer choose the right finishing to bring out the most exciting features of the piece. With a selection of over 8,000 frames and a broad array of mat boards and liners, the variations are infinite. 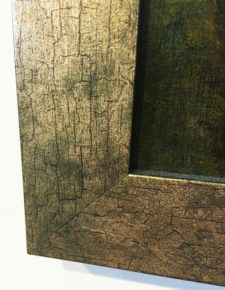 Whether you have a particular type of frame in mind or need the advice of someone with an artistic eye, our professional staff will help you find and fit the perfect frame for your piece of art. 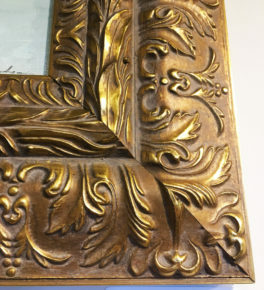 If your greatest concern is to preserve and protect your artwork, conservation framing is for you. The creating or preserving of an heirloom is The Kada Gallery’s specialty. Our framers know how each material will react over time, and their goal is to reduce or eliminate the effects of time on your piece. The materials Kada uses protect the artwork from physical damage from generation to generation.